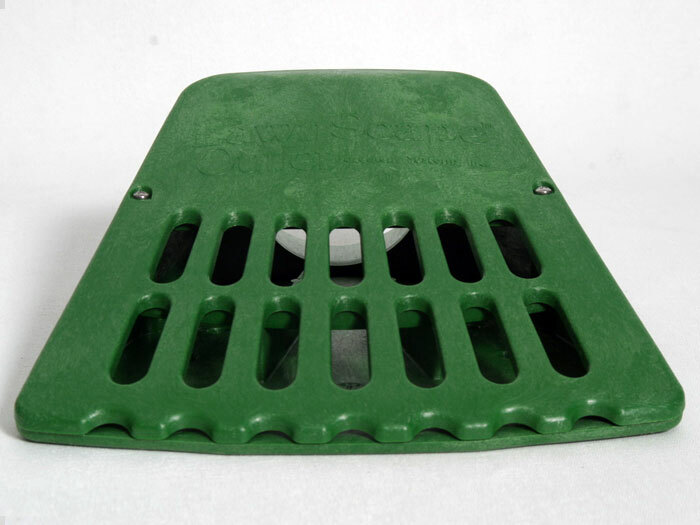 The LawnScape™'s grated opening is designed to deter leaves, animals, and debris when possible. 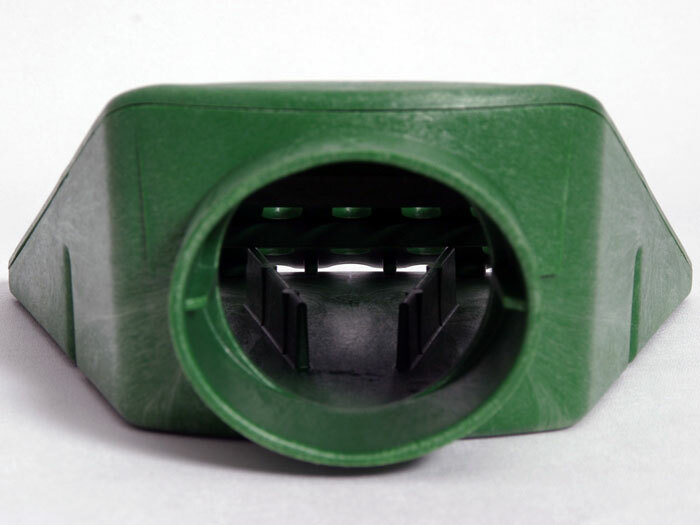 This lawn outlet system also features a removable lid that allows for cleaning. The rugged design of the LawnScape™ can withstand normal wear and tear as the lawn is used -- including the weight of a lawn tractor passing over it. Our complete basement waterproofing system includes more than 30 patented products -- each one designed to meet a specific need for your waterproofing system. 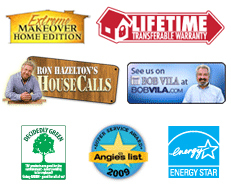 To learn more about how we can customize a waterproofing system for you, contact us by phone or e-mail today! We can provide you with a free, no-obligation basement waterproofing quote from your dealer in your local area of Canada, the United States, or the United Kingdom. 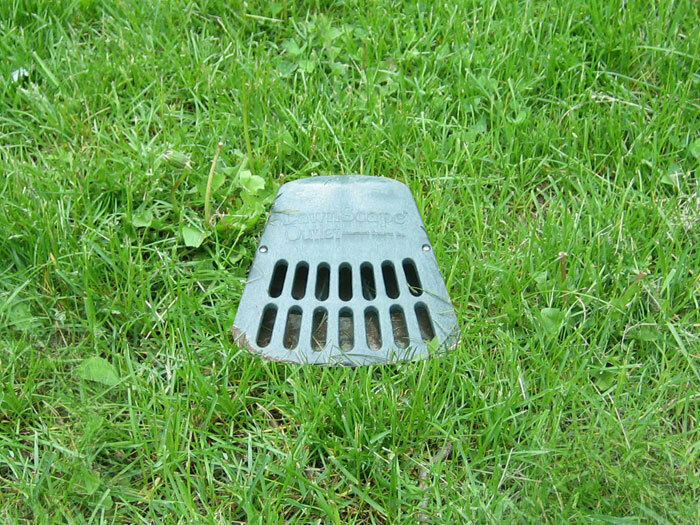 Open discharge lines that rest on top of the lawn (like the one shown above) can clog with leaves and debris, while creating an ugly tripping hazard. Why A Discharge Line Outlet? Pipes that do not have a grated opening at the point of discharge can easily clog with leaves, sticks, and other outdoor debris. Mice have been known to crawl down the discharge pipe, and animals have been known to nest in them. 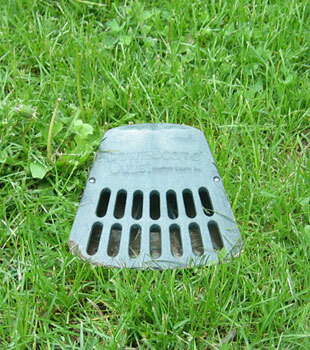 Installing a grated drain opening will protect your discharge line from these and many other problems that can lead to a backup in your system. 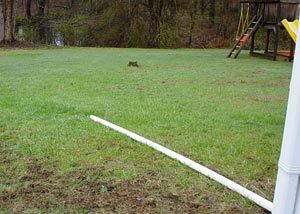 As a complimentary service when we waterproof your basement, we will carefully bury your sump pump discharge line outside. 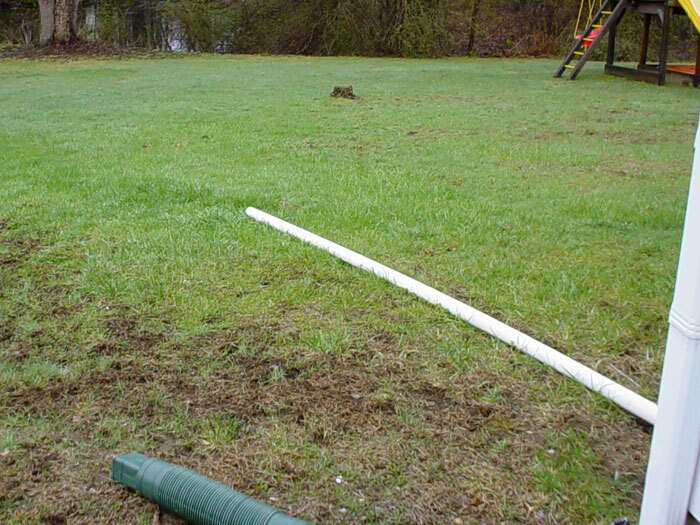 We do this by carefully removing the grass, then digging a trench in the lawn for the pipe. Once the pipe has been fitted in place, we'll restore your landscaping for a subtle, great-looking final product. We Provide warrantied Solutions For Your Wet Basement! 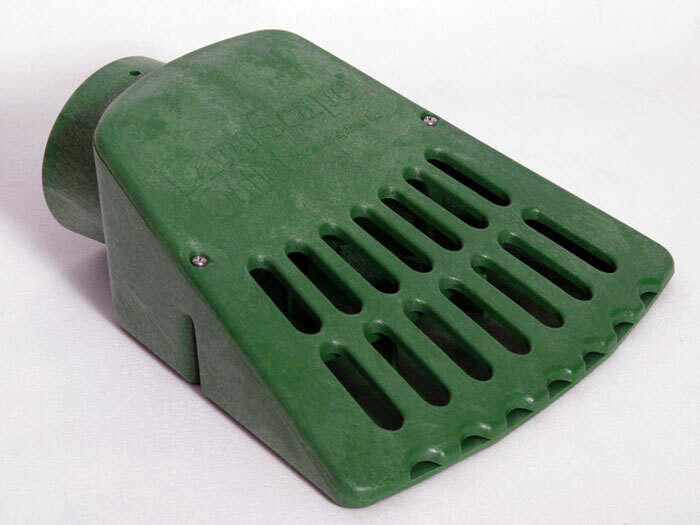 At Basement Systems, we have a full line of more then 30 patented waterproofing products, including several options for your home's outdoor drainage. Combined, they provide a customized solution for nearly any water issue you could have in your basement. Our local dealer can provide a free basement waterproofing quote, where we meet with you to inspect your problem and offer a solution. Each free quote includes an on-site measurement of your basement, a professional consultation where we answer any questions you may have, and a written cost quote. Before our visit, we also like to mail along a complimentary copy of our full-color basement waterproofing book. This book is packed with information about waterproofing and upgrading a basement -- as well as detailed information about our available products and services. We are available throughout Canada, the United States, and the United Kingdom. Contact us today to schedule your free appointment!